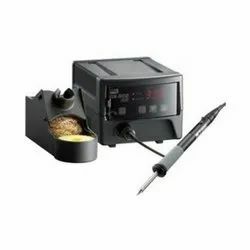 Prominent & Leading Wholesale Distributor from New Delhi, we offer soldering station japanese 70w, soldering station digital 75w, temperature controlled soldering iron, smt rework station (hot air), soldering station 936a and solder-pot. High-output and compact Temperature Speed / Heat Controlled Soldering Iron for providing the most suitable heat supply. The simple design for pursuing efficiency, certainty, and assuring the quality. It is the compact model adopted with Assembly Tip excellent in the heat recovery for maintaining a stable working temperature. Capable of flexibly handling even the most delicate and fine works, thanks to the working portion close to at hand.Provides high-power even with the smallest soldering tip size. Delivers an amazing start-up, reaching 350°C in only 8 seconds, thanks to all-in-one design of integrating the soldering tip, heater & sensor. Simple design with the number of parts reduced by employing Assembly Tip. Particularly powerful when using a soldering tip with a shape having relatively poor thermal conduction. Pencil-type design to fit also for a woman’s hand for supporting the high workability. 1.Temperature controls Design with Digital Display. 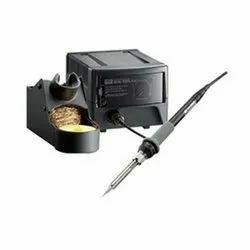 We are the leading firm of an excellent quality array of Soldering Iron. With the aid of our technologically advanced production unit, we are able to offer Hot Air Gun Rework Station at economical prices. 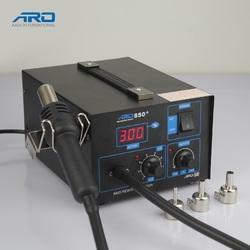 We are reckoned organization of this domain engaged in offering an enhanced quality 936 A Soldering Station . 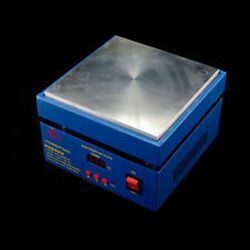 We are among the reputed organizations, highly engaged in providing an optimum range of Solder Pot Our solder pots are developed from the latest technology following the standards of industry. 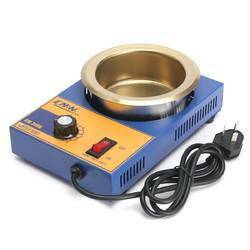 The offered solder pots are availed in different specifications to meet the need of our prestigious clients. These solder pots are well tested by vendor’s skilled engineers on well defined parameters to supply flawless range at customer’s end. Features:1. 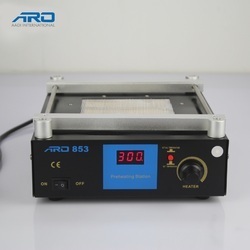 ARO-853A Pre-heater BGA rework stations PCB pre-heater use special air conductionand no carbon brush AC power supply, which make the airflow keep constant when coolingor preheating, and the lifetime longer.2. Digital and thermos tic set controlled conveniently.3. The platform made of stainless steel, it can be use although rust.4. Preheating with low-temperature to save electric energy, the components can't bedamaged for preheating with low temperature.5. It is safe of sensitive element because of using anti-static electricity materials. Hakko Soldering Station Fx888d is one of the most recommended Soldering station used by engineers and professionals. It delivers excellent thermal recovery by using T18 series tips for their terrific heat conductivity. A new mechanism to come up with an airflow meter to allow more accurate and easier control of flow rate. Input Voltage is 220V AC. Its Temperature range between 120° - 899°F, (50° - 480°C). It dimension is 100(W) x 120(H) x 120(D) mm. 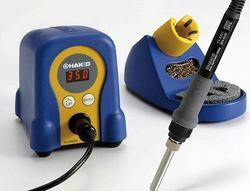 Hakko Soldering Station Fx888d - heater output has been increased by 30% as compared to the conventional models of HAKKO 936/937. Is thermal recovery catching rise time is 350°C is 20 seconds faster and tip temperature drop is reduced during continuous work. It has digital display makes it easy to check & set temperature at a glance. Powerfully supports the workability, versatility, and cost reduction. It is the heatsink model adopted with the COMFORTABLE-TIP capable of handling various work contents. Universal design excellent in balancing the thermal resilience produced by the energy supplied by the heater as well as by the amount of thermal storage in the soldering tip. Easily removable soldering tip with a wide variety of shapes suitable for any work with the collet chuck system employed. Supports the reduction of the running costs by employing a stand alone soldering tip with the lifespan of the heater in mind. 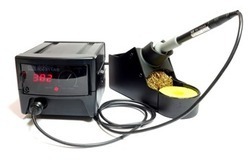 Provides the stress-less startup speed while employing a stand-alone soldering tip (approx. 40 seconds to reach 350°C). The most suitable soldering tip shape for a work application can be easily found. Attractive 3 soldering tip series without limit of shape. The grip shape designed in the pursuit of ease of use with the work conditions considered. Its power consumption is 75 watts. Its Temperature range between 200 to 450ºC. Its temperature stability is ±5ºC idle temperature. 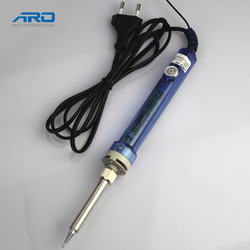 It has compact high-power thermally-controlled soldering iron. It ensures high thermal recovery for lead-free soldering. It has control card that can lock the temperature. It has Auto Sleeping mode and Automatic shut off when not use. Goot Soldering Station RX-711AS allows faster temperature recovery during heavy soldering, reducing the reaction time even at lower temperature settings and reduces the risk of thermal shock to low capacity electronic parts. 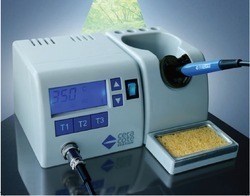 Goot Soldering Station RX-711AS has a Temperature range between 200 – 480 °C. It has a digital temperature indicator. It has thin, smooth and heatproof soldering iron power cable. The heater is completely separated from the input power by the insulated transformer. Its dimension is 146 (L) × 115 (W) × 98 (H) mm. Its power consumption is 65 W.
It has Comfortable ergonomic soldering iron handle with microcellular rubber bracket. Input Voltage is 220 V AC, 50/60 Hz. Output Voltage is 24 V AC, 60 W.
Power Cord Length is <1.3 m (3 core cable) ground plug. Accessory - Soldering Iron Stand ST-77. 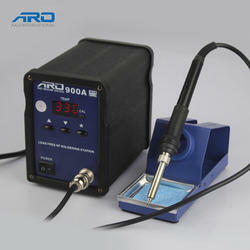 Goot Soldering Station RX-802AS has the capacity to set temperature in 6 seconds. It is one of the prime solution for lead-free soldering. It has almost no temperature fluctuation during continuous operation. Its patented thermal-insulation grip permits comfortable and safe work. It also has Tip-temperature recovery features. It also has the feature of alarm sounds after the preset count-down. Automatically lowers the temperature when the iron is not in use. Input Voltage is 110V,120V,130V,220V,230V,240V AC 50/60Hz. Its power consumption is 80 W.
Its temperature range between 50–450°C. Its Ripple temperature is ±5¿¿C (unloaded). Its Insulation Resistance is over 100MΩ (500V DC). Its Output Voltage is 24V AC. It dimensions are 115(W) × 98(H) × 146(D) mm. 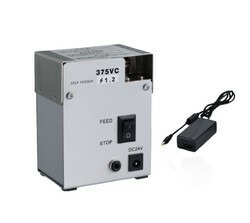 Its Voltage/Consumption is 24V AC / 72W. Accessories have Soldering Iron Stand (ST-21). 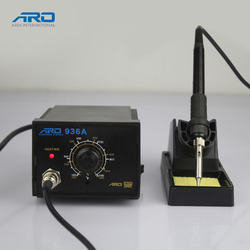 ESD Safe Analogue 937 Soldering Station With Soldering Iron & Soldering Stand This Is One Of The Digital Soldering Station And Quality Assurance By ‘REYTAiL’. 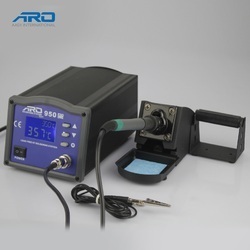 If You Are Looking For A Good Quality & Professional Level Soldering Iron station, Then, You Are On Right Page. Temperature Rises Rapidly – Porcelain Heating Element. It Uses 1231 High-Quality Heating Core. The Iron Uses Silicone-Line, And Won’T Be Oxidized In Cold Temperature. We are engaged in providing the best quality range of Soldering Tweezers. 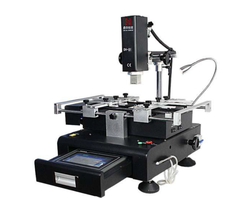 We are the leading manufacturer and trader of Fully Automatic BGA Rework Station. These machines are manufactured by employing advanced technology and following standards norms of industry. These are multipurpose BGA Rework Stations based on IR technology and can be used with SMD rework stations also. joints.6. The rework station comes with the air gun handle safe protection. After connected to thepower supply, it won’t start the normal working until the handle has been placed on the airgun frame. If the handle is not put on the air gun frame, the main unit couldn’t get the safetydirects. The purpose is to effectively prevent the damage caused by the unknowncircumstances that the air gun is placed in the areas of fire or other places. 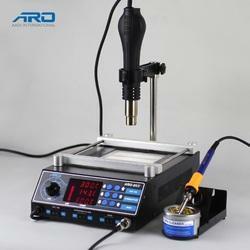 Goot Soldering station RX-701AS is lightweight, slim, and handy. It has New heater with internal sensor achieves 60W. The heater is completely separated from the input power by the insulated transformer. And the 24V heater is safe to use for sensitive components. Its dimensions are 115(W) × 98(H) × 146(D) mm. Its Power Consumption is 65W. Its Temperature range between 200-450 Degree C.
Accessories - Soldering Iron Stand (ST-27 ) & Soldering Iron Tip (PX-60RT-B). Its ground resistance is less than 2O. Self Feeder is a device that helps the operator to concentrate on the soldering work. It has a power consumption of 6W. This device has a configurable solder feed and speed time that makes the soldering for the operator much easy. Also, the device can be connected to a soldering iron to enable the solder feed. The operator can perform solder operations with one hand, if using the tube unit. 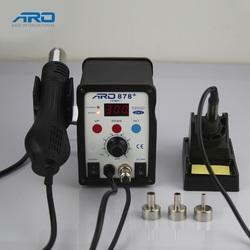 This device can be used with various soldering irons. In addition, the device also has an adjustable solder return function that reduces wastage of solder material. allows better flux flow and out gassing avoiding solder and flux splashing during the soldering process (also available without perforation).